Dubai, UAE: Middle East Global Advisors, a leading financial intelligence platform facilitating the development of knowledge-based economies in the MENASEA markets, announced that it will convene the 13th edition of their annual offering – The World Takaful Conference (WTC), in strategic partnership with the Dubai International Financial Centre (DIFC) and supported by the Insurance Authority (IA) on April 09. The forum will take place at the Dusit Thani Hotel in Dubai, UAE. To be held under the theme of “Differentiation, Innovation & Profitable Growth”, this year’s WTC will feature keynote addresses by H.E. Ebrahim Obaid Al-Zaabi, Director General,Insurance Authority; Abdulla Mohammed Al Awar, CEO, Dubai Islamic Economy Development Centre (DIEDC); Salmaan Jaffery, Chief Business Development Officer, DIFC Authority and Dave Matcham, CEO, The International Underwriting Association of London (IUA). With a single-minded focus of acquiring market share, the Takaful industry has found itself facing decreased net profits owing to implementation of aggressive growth strategies that are undifferentiated and price-based, often squeezing out underperformers. Such growth, however, has been found to be unstable and short-term, making it imperative to devise new strategies in order to increase bottom line and underwriting profit margins. 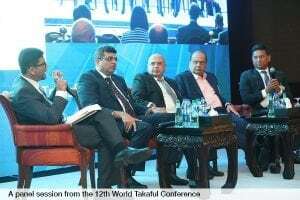 The need of the hour is a shift to a sustainable competitive strategy that leverages the USP of Takaful, takes into account risk-based pricing and explores new consumer segments and rapid growth markets for achieving profitable long-term growth. Consolidation within the industry to form large-scale operators is one move that is highly encouraged. 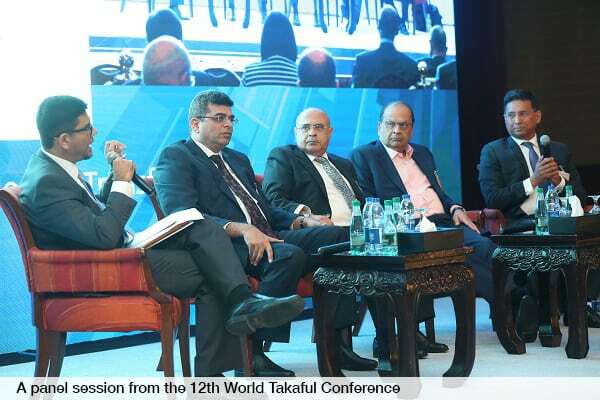 Focusing on the issue at hand, WTC will witness an immersive industry leaders’ panel discussion with a strong focus on the profitability and sustainable growth for the global Takaful industry. Leading experts comprising Safder Jaffar, Managing Director, Milliman; Gautam Datta, CEO, National Takaful Company P.S.C – Watania; Omar Gauda, Managing Director, African Retakaful Company & Mustafa Oliyath Vazayil, Managing Director, Gargash Insurance, will delve deep into the issue at hand with the aim of generating breakthrough insights that will navigate the way ahead for the niche industry. Key Features for WTC 2018 include: Keynote Addresses by leading Regulatory Authorities and Industry Leaders, One-on-one interview with a Shari’ah scholar on Innovation & InsurTech, Dedicated InsurTech Integrated Stream, Live polling on key issues gravitating around Takaful, a dedicated WTC exhibition and a host of panel sessions with industry leaders, regulators, economists, and technology gurus gravitating around the key themes affecting the Takaful and insurance industry at large. In 2017, WTC convened high profile guests and dignitaries from Dubai Islamic Economy Development Centre, Dubai International Financial Centre (DIFC), Islamic Insurance Association of London (IIAL), Insurance Authority (IA), PwC Middle East, Moody’s, EY, Swiss Re, Munich Re, SALAMA, Clyde & Co., Norton Rose Fulbright, Fitch Ratings, Zurich Insurance Company Ltd., Noor Takaful, EmiratesRE and many more organizations.